It was a pleasure to celebrate the 2017 year with the team at our annual Christmas Dinner. Team members and their spouses joined us at the South Australian Museum for a meal and the announcement of the 2017 staff awards. Reflecting on the achievements of the year, we were able to thank everyone for their dedication to servicing all of our clients with a consistent high level of service and product delivery. Presenting the employee awards for the year is always a highlight. 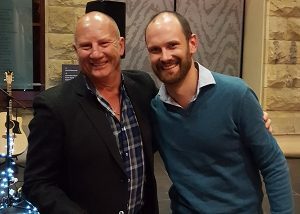 Employees are nominated for the awards by their peers and it is always encouraging to see an employee from each division of the business represented in the voting. 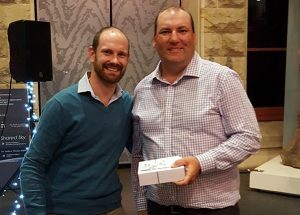 Our Innovation Award this year was presented to Matthew Weiss, Estimator & Planner, for the implementation of the Colour Master Sample system which is ensuring consistent quality results for clients. 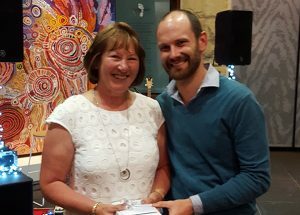 The Cultural Award was presented to Wendy Adams, our Bindery Supervisor, as being recognised by her peers for consistently upholding our brand values (see our core brand values here). 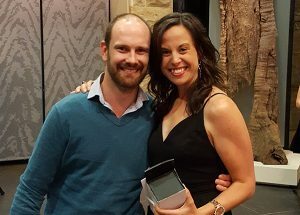 Once again, there were two equal runner up awards which were presented to Grant Woolard, Account Manager and Sarah Lelliott, Lead Graphic Designer. In a rapidly changing industry, we thank our committed and highly skilled team members for their contributions and insights and we look forward to the developments of 2018.